The lottery-type games are instant win games available both offline and online. Bingo is a popular instant win game based completely on luck that is available to play at a number of online casinos. Bingo Bonanza is a well-known version of Bingo that is easy to play and can make you an instant winner is a matter of seconds. To be able to win real cash prizes, make sure you play for real money. To win big at Bingo Bonanza, you need to match multiplier values. To play the game select your stake amount and click the Play Now button. Six balls are drawn, each having its own multiplier value. Two matching balls complete a winning combination and wins are paid according to the multiplier value displayed on the ball times your original bet amount. Only one winning combination is paid. If there is more than one, you will get the amount equal to the highest value combination. The max payout of Bingo Bonanza is 200,000 credits if you bet the max amount. The game’s average payout is 96%. Micorgaming’s Bingo Bonanza is available at online casinos and/or online bingo rooms powered by this pioneer software provider. The game is played according to the above explained rules. You need to match two balls that have the same win multiplier to receive a payout. The more you bet, the higher win amount you get. The game is based on pure luck and the result of a gaming session is determined by the random number generator. Microgaming software creates stunning bingo and casino products on regular basis that have superb graphics. The games are available across many different platforms. The Bingo platform in particular incorporates the latest technologies and standards. Microgaming creates three variations of bingo, namely 75, 90 ball bingo and the 75 ball bingo variant. Particular bingo titles include Electro Bingo, Samba Bingo and Mayan Bingo. In Electro Bingo you choose how much you want to bet and you can play up to four cards. 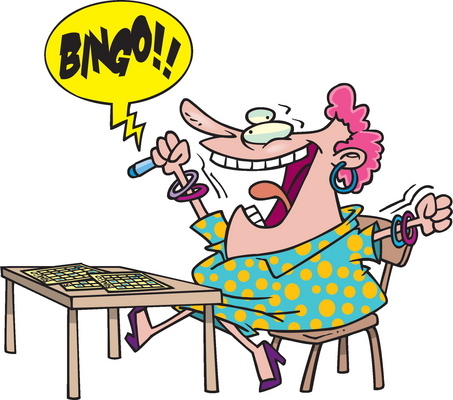 The objective is to match a particular set pattern on the bingo card and win a payout. Players can also buy additional balls. In Samba Bingo you also match numbers to complete prize-winning patterns and hopefully get the jackpot of 100,000. Lastly, the aim of Mayan Bingo is to mark a unique pattern and after 30 balls are drawn you can buy an extra ball if you are one away from bingo. For a list of Gamblers.Casino recommended casinos from Microgaming, click here.